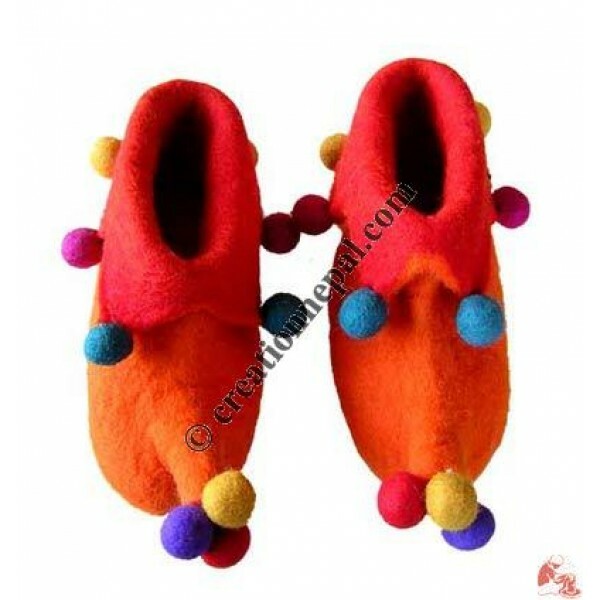 Warm and soft felt shoes. Suitable for winter wear. It has leather sol. Decorated wilth colourful small felt balls.